The essence of good political leadership is the courage to do what you believe is right when it is unpopular and the skill to bring people of differing viewpoints together to get things done. 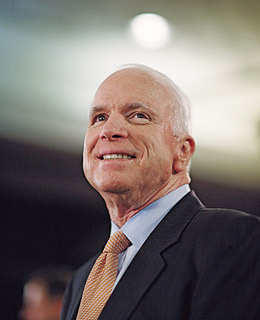 By those measures, John McCain, 71, is a very good political leader. Reflexive partisanship is poisoning our politics, preventing us from solving our most pressing problems. But John McCain has had the courage to reach across party lines to get things done. Time and again, I have seen him rise above negativism and partisanship to solve problemsreforming our laws on ethics and campaign finance, creating the 9/11 commission, fighting to stop global warming and prevent torture of detainees. While others talk about taking on the Washington special interests, John has done it. Like his hero Teddy Roosevelt, John puts the public interest first. His personal values, strength and experience in war and peace prepare him well to protect us from the Islamist terrorists who are today's greatest threat to our freedom and to build bridges to the rest of the world that will secure and improve our future. Besides all that, John likes to laughoften at himselfwhich is another kind of courage not found in all politicians. 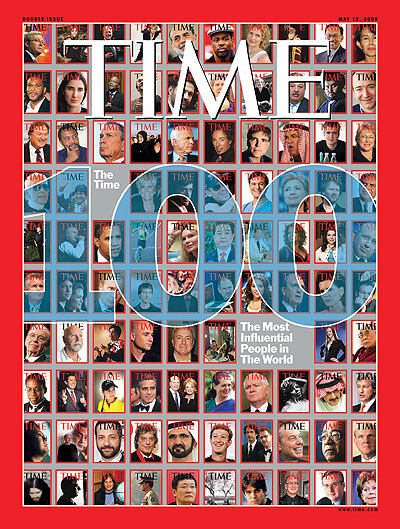 John McCain's life has earned him a place on the TIME 100 list and has prepared him to be America's next great President.